Pictures made in Tesserae on the (short) road to the Upper Church. The golden colours are real gold. 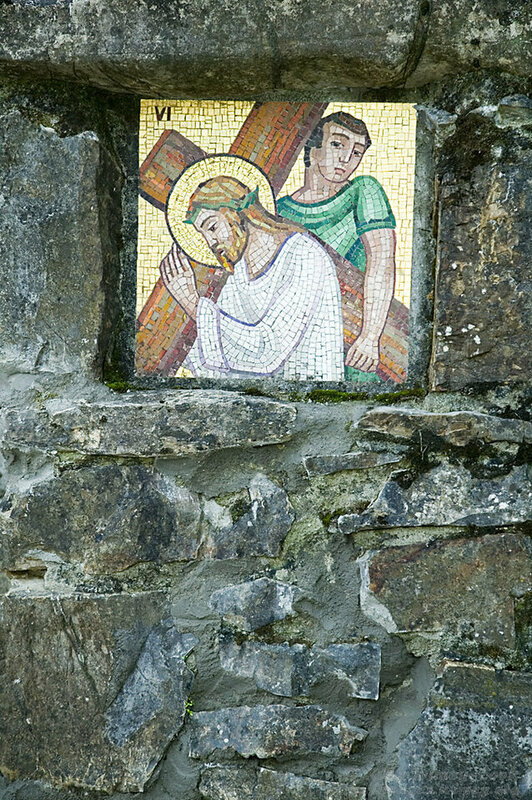 Image Description: Pictures made in Tesserae on the (short) road to the Upper Church. The golden colours are real gold.